Fear generates anger, hatred, loneliness and regret. There is so much fear, hatred and mistrust in our global consciousness…it’s so easy to go into that hatred because it too seems natural. Look around you today… in the news… in the political scene… it shows up in so many ways. Fear, hatred and mistrust may seem to be everywhere but hate does not have to be in your heart when you know the truth. Remember, the truth is, love is who you are. It’s important to become mindful of how you think because every challenge based in fear and every moment of joy based in love happens from what, why and how you think. First you have to discover what fear is blocking love in any moment. This simple set of questions will change the way you feel from one moment to the next. As you practice and become proficient, this technique will become second nature and you will use it like auto-pilot to course-correct automatically. Use it whenever you feel yourself moving away from your natural state of LOVE.Answer the questions truthfully and spontaneously. Stay focused on the answer to the question number four as as long you can. This is an example only, use your own words and the wisdom of your own heart to answer these questions. I feel lonely and afraid. 2. What am I Focused on? I’m focused on how lonely and unfulfilled I feel. 3. How do I want to Feel? 4. What Focus will serve that? Being grateful for all the creativity, passion, and love I have in my life right now. As you relax and center yourself, you shift into peace and that takes the fear and desperation out of the equation. You will move into a place of wholeness and power, a place that is incredibly attractive to everyone. Now, articulate what it feels like when you are living as a high frequency PLATINUM being, fully connected to Love. Remember, the purpose of this inquiry is to dig deep; to go past the obvious. Really go deep within for your personal answers. We’d love to hear how you feel once you’ve completed these exercises. PS. Have you ordered your copies of CODEBREAKER: Discover The Password To Unlock The Best Version Of You and your CODEBREAKER Journal yet? 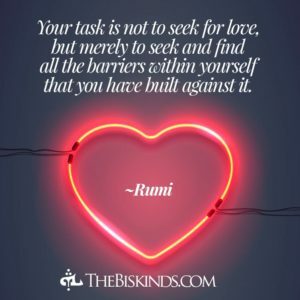 Get all the scoop on LOVE in Part Three, Chapter Two – here’s to living as the perfect divine high frequency being you are!